A meeting of the National Anomaly Committee (NAC) was held on 12th December, 2009 in Conference Room No.119, North Block, New Delhi under the Chairmanship of Secretary (Personnel). A list of participants who attended the meeting is annexed. 2. At the outset, the Chairman welcomed the representatives of the Staff Side and Official Side. The Chairman stated that the recommendations of the 6th CPC have been implemented with certain modifications. While processing the Report, the Committee of Secretaries also consulted the Staff Side. As decided by the Cabinet at the time of approving the Report of the Sixth CPC, instructions have been issued for setting up of Anomaly Committees at the National as well as Departmental Level in order to ensure the resolution of anomalies. The Chairman informed that the National Anomaly Committee would discuss the anomalies common to two or more Departments and anomalies pertaining to common categories of employees. Further, he indicated his firm belief as well as conviction that all the anomalies can be resolved through the consultative process. The Chairman also informed that the next (46th) meeting of the National Council (JCM) has been scheduled to be held on 16th January, 2010 under the Chairmanship of Cabinet Secretary. The Chairman also reiterated the resolve of the Government to maintain a sustained level of contact with the Staff Side in order to take forward the process of consensus building and collaborative endeavour to achieve the goals of higher productivity, efficiency and staff welfare. Thereafter, the Chairman invited the Leader and Secretary of Staff Side to say a few words. 3. Leader of the Staff Side Shri M. Raghaviah thanked the Chairman and conveyed the appreciation of the Staff Side for convening the meeting of the National Anomaly Committee. He further stated that the opening address of the Chairman conveyed the right message and stated that all anomalies can be resolved in a peaceful fashion. He thanked the Government for all the improvements over and above the recommendations of the 6th CPC and stated that there are certain areas where there is some unrest with respect to implementation of the recommendations of the 6th CPC and requested the Chairman that all such issues should be resolved as soon as possible. He once again thanked the Chairman and reiterated the resolve of the Staff Side for cordial and healthy industrial relations. 4. Secretary of the Staff Side Shri Umraomal Purohit reciprocated the sentiments expressed by the Chairman and indicated that all the anomalies can be resolved through mutual discussion. He also thanked the Chairman, for not only for convening the first meeting of the NAC at such a short notice, but also taking initiative in scheduling the next meeting of the National Council (JCM) on 16th January, 2010. He mentioned about the long delay in convening the meeting of the National Council but also stated that he hoped that from now onwards things would change for the better. Secretary, Staff Side drew the attention of the Chairman towards non-functioning / delays in holding the meetings of the Departmental Councils in various Ministries/Departments. Emphasising the importance of the Departmental Councils in the Scheme of Joint Consultative Machinery and Compulsory Arbitration, Secretary of the Staff Side stated that some way out has to be found to ensure that Departmental Councils work properly in all Ministries/Departments and its meetings are held regularly. While complimenting the Government for timely implementation of the recommendations of the 6th CPC, Secretary of the Staff Side stated that the definition of the anomaly which was adopted earlier has been altered this time which may lead to certain problems. He also stated that the Report of the 6th CPC is not like the earlier reports and the new format recommended by the 6th CPC is being gradually adopted. He also referred to certain issues like Risk Allowance (RA), Patient Care Allowance and Fixed Medical Allowance (FMA) for pensioners and requested that final orders on these issues may be issued only after discussing the same with the Staff Side. Secretary of the Staff Side also drew the attention of the Chairman towards certain benefits like maternity leave, child care leave and stated that the same have not been extended as yet to the women industrial employees and requested for early action in this regard. Secretary of the Staff Side also complimented the Government with respect to the setting of the Fast Track Committee and stated that the Fast Track Committee has resolved long standing problems of the employees. He once again thanked the Chairman for convening the meeting of the NAC and for giving him an opportunity to express his feelings. 5. The Chairman stated that Government also understand that the report of the 6th CPC is different and was of the view that there is a need for greater dissemination of information on the recommendations of the 6th CPC. Accordingly, he requested the Staff Side for a list of questions /issues on which more information is required so that the Government can prepare a list of Frequently Asked Questions (FAQs) and put the same on the web site for, increasing awareness etc. The Chairman also assured to take necessary steps to ensure that meetings of the Departmental Councils of various Ministries / Departments are held regularly. Regarding the definition of an anomaly, the Chairman opined that this should not lead to any problems and stated that official side is open to examining the matter if it is found that there is indeed a case. The Chairman also requested the Staff Side to forward issues which could have become anomalies had the said para not been deleted for further examination of the same. Agenda Item Nos. 1 to 4- Anomaly in Pay Fixation in case of merqer of various Pay Scales. As the anomalies mentioned at item No.1 to 4 represented similar items, it was decided to club the four items together. The Staff Side demanded that since the pre-revised Pay Scales of Rs.5000-80001-, Rs.5500-90001- were merged with the pay scale of Rs.6500-10500, the pay of the incumbents holding the pay scales of Rs.5000-80001- and Rs.5500-9000 should have been fixed with effect from 1.1.2006 by applying the multiplying factor of 1.86 at Rs.65001. The Staff Side stated that the intention of the Pay Commission was to upgrade the two pay scales and merge them with the higher pay scale of Rs.6500. Therefore, denying the benefit of higher pay scale to the concerned employees is not justified. Joint Secretary (Pers), Department of Expenditure stated that this issue was raised by the Staff Side before the Committee of Secretaries set up by the Government to process the Report of the Sixth CPC. Further, JS (Per) informed that pay fixation in the revised pay structure has been done strictly in accordance with the fixation tables given in the Report of the 6th CPC (with suitable modifications due to change in fitment factor from Rs.1.74 to 1.86) and therefore, this could not be termed as an anomaly. She further stated that all the employees in the pre-revised Pay Scales of Rs.5000-8000 and Rs.5500-9000 were given the uniform fitment benefit @ 40% of the maximum of the pay scale of Rs.6500-10500, i.e., 40% of Rs.10500 as Grade Pay. In case the merger of the pre-revised pay scales of Rs.5000-8000 and Rs.5500-9000 with Rs.6500-10500 had not been recommended by the Pay Commission, then the fitment benefit granted to the Government servants who were in the pre-revised scales of Rs.5000-8000 and Rs.5500-9000 would have been much lesser i.e. 40% of Rs.8000 and Rs.9000 respectively. JS (Per) also clarified that the paras in the text of the Report should be read in conjunction with the fitment tables as they are not independent of each other. The fitment tables have been incorporated for the first time in a Report of the Central Pay Commission and are very much part of its recommendations. However, the Staff Side insisted that from the phraseology of the report of the 6th CPC, it is evident that the intention of the Pay Commission was to upgrade the two pay scales and pay fixation done merely on the basis of the fixation table given in the report of the 6th CPC cannot be an excuse to justify the denial of benefit on this ground to the concerned employees. The Staff Side reiterated that it was an anomaly precisely for the reason that vide Para 2.2.19, the 6th CPC has stated unambiguously that where pre revised pay scales have been merged it has been done by extending the minimum prescribed for the highest pay scale with which the other pay scales are being merged. However, the pay band has been fixed with reference to the minimum of the lowest pay scales which have been merged. The Chairman, while reiterating that the tables are very much part of the recommendations of the Pay Commission, suggested that Ministry of Finance, Department of Expenditure may look into this issue further. (i) The Staff Side stated that since the 6th CPC has introduced the new system of Pay Bands and Grade Pay, there was a lot of confusion among the employees in deciding about the option for switching over to the revised pay scales. Accordingly, Staff Side demanded that the first option exercised may not be treated as final and one more option should be given to the employees. Officers of Department of Expenditure informed that all the cases of revision of option in relaxation of CCS (RP) Rules, 2008 referred to them had been agreed to by them. However, JS (Pers) agreed to look into the matter regarding delegation of powers to the administrative ministries to allow the options. (ii) Regarding reckoning of Special Allowances and Qualification Pay at the time of fixation of pay in the revised pay structure, the Staff Side demanded that the same should have been taken into account while fixing the revised pay of the concerned Government servants. JS (Per) stated that this was not provided for in the CCS (RP) Rules, 2008. In this context, Members of Staff Side demanded that Rule should be modified to allow reckoning of Special Allowances Qualification Pay. JS (Per) enquired about the procedure followed at the time of implementation of Fifth Pay Commission’s recommendations. Responding to this, Staff Side stated that an item pertaining to reckoning of such allowances / pay for the purpose of pay fixation after Fifth CPC was pending in the Standing Committee of the National Council. In this context, JS (Per) observed that CCS (RP) Rules, 2008 have no provision for this purpose and there is no precedent on the matter since the item raised by Staff Side after implementation of Fifth CPC’s recommendations is still pending in the Standing Committee, logically the present issue could be taken up depending on the final decision on the item pending in the Standing Committee. (iii) It was noted that this part has already been discussed as it relates to agenda item Nos.1 to 4. (iv) Regarding anomaly in fixation of pay between direct recruits and promotees, the Staff Side argued that while applying Rule 8 of the CCS (RP) Rules, 2008, the pay of direct recruits and new entrants is fixed at a higher stage when compared to the existing employees who were promoted in the same grade. The Staff Side demanded that this anomaly should be rectified by incorporating a provision that in case after 1.1.2006, if a promotee’s pay is getting fixed at a stage lower than that of a direct recruit as given in Section 2 of the First Schedule of the CCS (RP) Rules, then the pay of the promotee should be fixed at the same stage as that of a direct recruit/ new entrant so that the existing employees pay is protected at par with the pay given to a new entrant. JS (Pers) stated that the pay of the new entrants is being fixed strictly in accordance with the principles laid down by the 6th CPC in this regard. In case where a promotee and post 1.1.2006 direct recruit are borne on the same seniority list and the senior is drawing less basic pay than the junior, the pay of the senior can be stepped up. The Staff Side argued that it was not the intention of the 6th CPC to grant higher pay to direct recruitees vis-a-vis promotees and also stated that stepping up of pay is not being allowed in many Ministries1 Departments in such matters. The Staff Side further stated that the pay granted to the fresh entrant is the deemed minimum pay of the post and no promotees can be fixed below the minimum pay of the post to which he is promoted on regular basis. The Chairman suggested to the Department of Expenditure to re-examine the matter. (v) Regarding the date of annual increment, the Staff Side argued that since the date of increment of all the Central Government employees has been fixed as 1st of July of every year, the employees whose increment dates are between 1st February 2006 and 1st June 2006 have to wait for more than 12 months for their first increment after the implementation of the recommendations of the 6th CPC. The Staff Side argued that this situation is quite anomalous since this will affect the employees who retire during the period between 1st February to 3oth June every year. They will suffer a loss of one increment perpetually and thus affecting their pension. 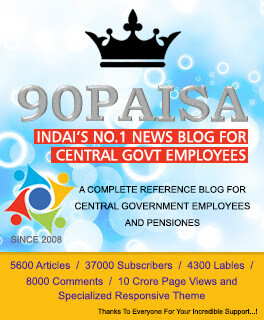 The Staff Side demanded that the employees, whose increment falls between 1st February to 1st June, 2006, may be given an increment on 01.01.2006 as a one-time measure. JS (Per) intimated that as per the recommendation of Sixth CPC in the matter, which has been accepted by the Government, now there is only one day in the year, i.e., 1st of July of every year, for the purpose of granting annual increments. Further, it was stated that as far as cases of promotions that took place between 1st of January and 30th of June are concerned, instructions have already been issued that in such cases, Government servants have the option to have their pay fixed under FR 22(l)(a)(I). As per this, they will be granted two increments on 1st July, one annual increment , and the other on account of promotion. Regarding employees who retire during the period between lst February to 30th June every year, it was intimated that even prior to 01.01.2006, there were cases where the date of superannuation of a Government servant could be just one day prior to their DNI. Even at that time, there was no system to grant an additional increment to Government servants in such cases. Regarding the demand of the Staff Side that the employees whose increment falls between 1st February to 1st June, 2006 may be given an increment on 01.01.2006 as a one-time measure, JS (Per) stated that the issue will be looked into keeping in view its repercussions and a final view on the matter will be taken after factoring the likely repercussions. The Staff Side further stated that the Revised Pay Rules in relaxation of F.R. are meant only for the purpose of fixing the pay in the revised Pay scales. It has no application thereafter. It is on this specific understanding that the staff side had demanded the one time relaxation as otherwise the one time relaxation would not address similar issues of future recruitees and promotees. The Official Side contended that the Revised Pay Rules would override the provisions of the Fundamental Rules permanently. The Staff Side then contended that an increment has to be granted on completion of one year service. It must not be postponed except on award of a penalty on initiation of disciplinary proceedings. After some further discussion, the official side agreed to reconsider this matter. (vi) The Staff Side agreed to drop this part relating to deduction of tax from salary. (vii) The Staff Side stated that as per the existing scheme the temporary status employees have been granted the minimum of the corresponding scale of pay of regular employees (with benefit of annual increments). Therefore it would be necessary that these employees if they are non matriculates are given the requisite training and the benefit of fixation of pay at Rs.7000/- (with grade pay of Rs.1800 with effect from 01 .01.2006. The Secretary, Staff Side pointed out that in respect of those who have retired / die during the period between 1.1 .2006 and 1.9. 2008 it would not be possible to impart training to them. He, therefore, suggested, referring to his letter in this regard that they may be given the benefit of Grade Pay of Rs.1800 with effect from 1.1.2006. Regarding granting of temporary status to casual labourers, JS (Pers) informed that Department of Expenditure had already rendered their advice in the matter to JS (E), DoPT. Further action is to be taken by DoPT. Director (Pension) informed that the Dearness Relief is admissible toall categories of Central Government pensioners1 family pensioners. Therefore, it was agreed that the item may be treated as closed. Regarding anomaly in the pension for Government servants, who retired / died in harness between 1.1.2006 and 1.9.2008, Director(Pension) informed that Department of Pension and Pensioners Welfare has already clarified vide its O.M dated 11/12/2008 that the provision of payment of pension at 50% of the emoluments (pay last drawn or 50% of average emoluments received during the last ten months, whichever is more beneficial to the retiring employee, shall be applicable to all Government servants retiring on or after 1.1.2006. Therefore, it was agreed that the item may be treated as closed. The Staff side also drew the attention of the Chairman towards difficulties being faced by many pensioners in getting the second instalment of the arrears of pension. The Chairman assured the staff side that he would take up the matter with the Department of Financial Services and also instructed Director (Pensions) to ensure that the problem is sorted out at the earliest. Regarding parity in pension of all pre 1996 retirees with those who retired on or after 1.1.1996, the Staff Side stated that the pensioners were not given parity in pension irrespective of the date from which they had retired. The Government in the past have accepted the principle that there shall be parity in pension irrespective of the date from which they had retired. The benefit was given while implementing the 5th CPC recommendations. The Staff Side further stated that the 6th CPC in para 5.1.47 has stated that in order to maintain the existing modified parity between present and future retirees it will be necessary to allow the same fitment benefit as is being recommended for the existing Government employees. However, while implementing the 6th CPC, the pensioners who retired prior to 01.01.2006 were given only 40% of the basic pension where as the serving employees were given 40% of the maximum of their pay scale. The Staff Side, therefore, demanded that the pensioners should be granted 50% of the Grade Pay in the scale from which they had retired by way of fitment benefit and not 40% of basic pension. JS (Pers) informed that as per the recommendations of Sixth CPC, modified parity had already been granted to all pre-01.01.2006 pensioners. Consequent upon the implementation of Sixth CPC’s recommendations regarding pension, all pre-01.01.2006 pensioners have been granted fitment benefit equal to 40% of their pre-revised basic pension, subject to the revised pension, in no case, being fixed lower than fifty percent of the sum of the minimum of the pay in the pay band and the grade pay thereon corresponding to the pre-revised pay scale from which the pensioner had retired. At this, the Staff Side argued that a reading of the recommendation of Sixth Pay Commission on the matter indicated that the intent of the Pay Commission was to grant modified parity to pre-1.1.2006 pensioners by allowing same fitment benefit as is being recommended to the existing Government employees subject to the provision that revised pension shall not be lower than 50% of the minimum of the pay in the pay band prescribed for the grade pay and the sum of the grade pay corresponding to the pre-revised pay scale from which the pensioner had retired. On the other hand, the Government had approved modified parity with reference to the minimum of the pay band plus the grade pay which is not consistent with the recommendation of the Sixth CPC. Officers of Department of Expenditure stated that this was not the intent of the recommendation of the Pay Commission. After some discussions, the staff side requested the official side to examine the matter once again. Director (Pensions) informed the Members of the Committee that suitable instruction have already been issued vide O.M. No.45/6/2008-P&PW dated the 7th December, 2009. Therefore, it was agreed that the item may be treated as closed. NATIONAL ANOMALY COMMITTEE HELD ON lzTH DECEMBER, 2009 AT 11.00 AM IN ROOM NO. 119, NORTH BLOCK, NEW DELHI. Smt. Urvilla Khati, Ex. Dir.